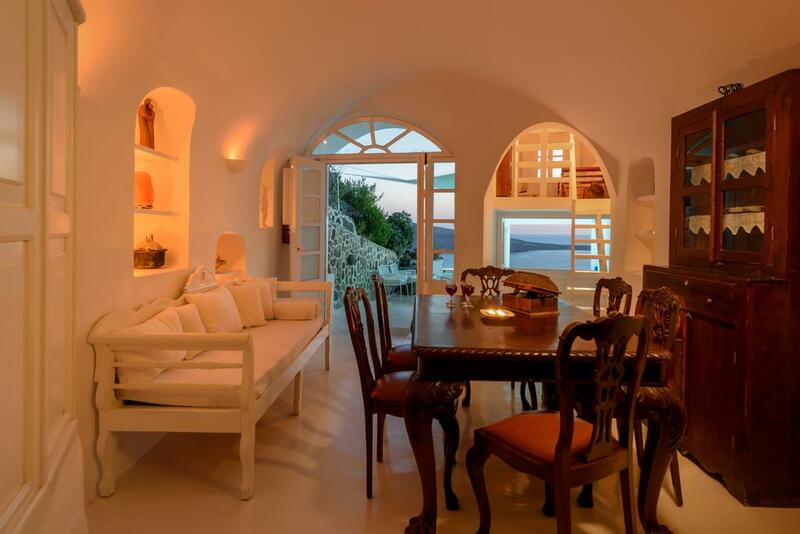 “White House” Villa is a unique property located at the highest spot of Oia village in Perivolas area. Its amphitheatric position offers fantastic views over the cliff, the village, the beautiful sunset and the volcano, all at the same time. 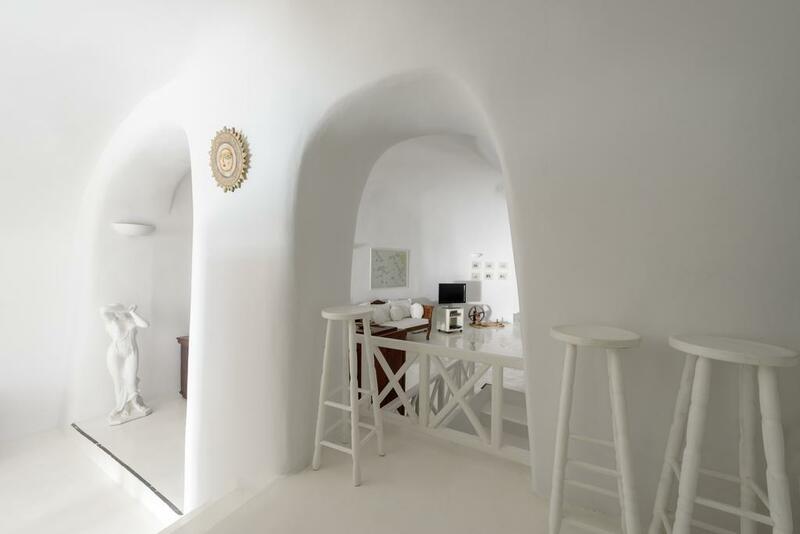 The “White House” title is fully explained by its white decoration concept that combines traditional architecture with minimal and contemporary design. 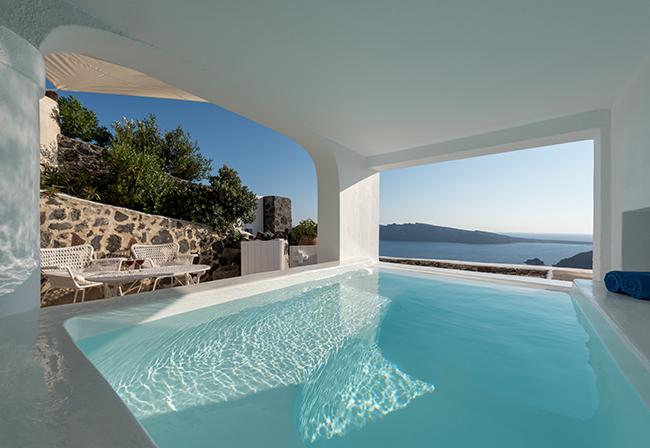 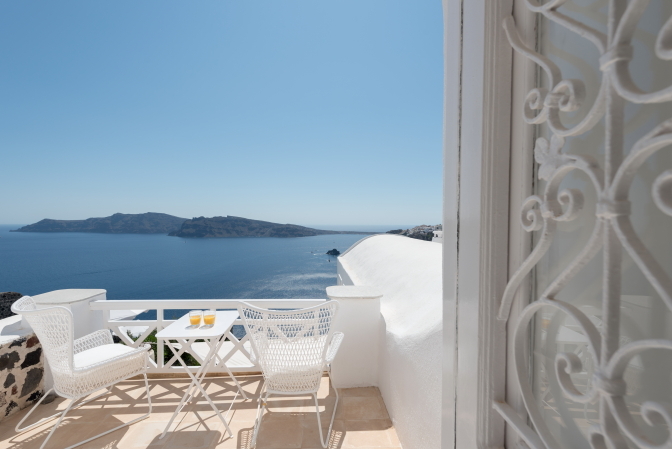 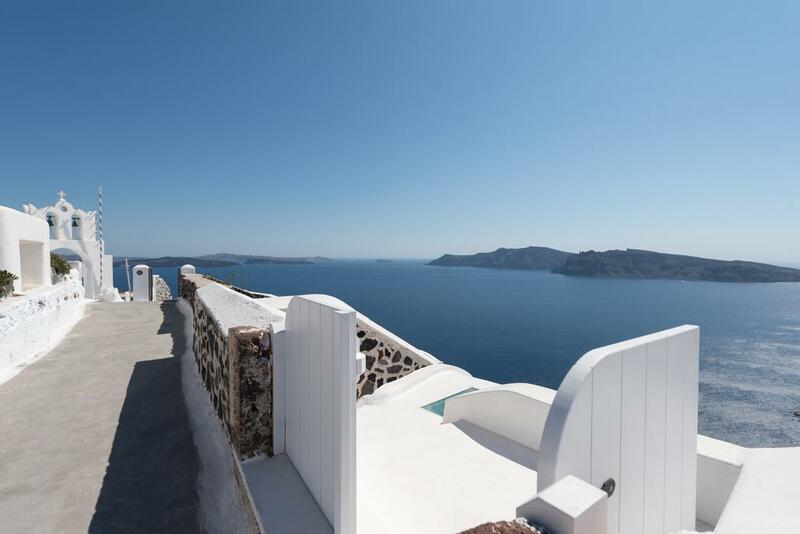 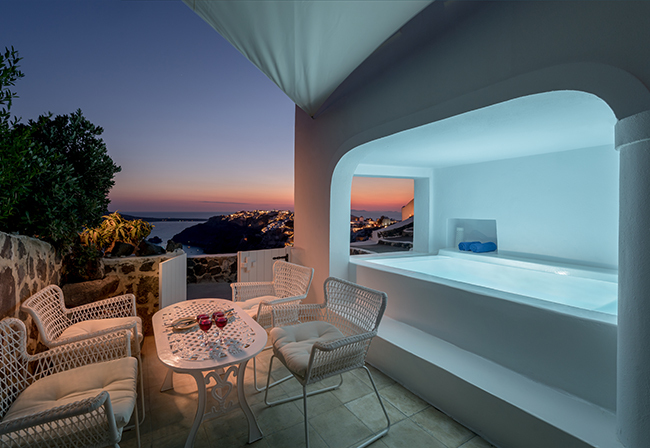 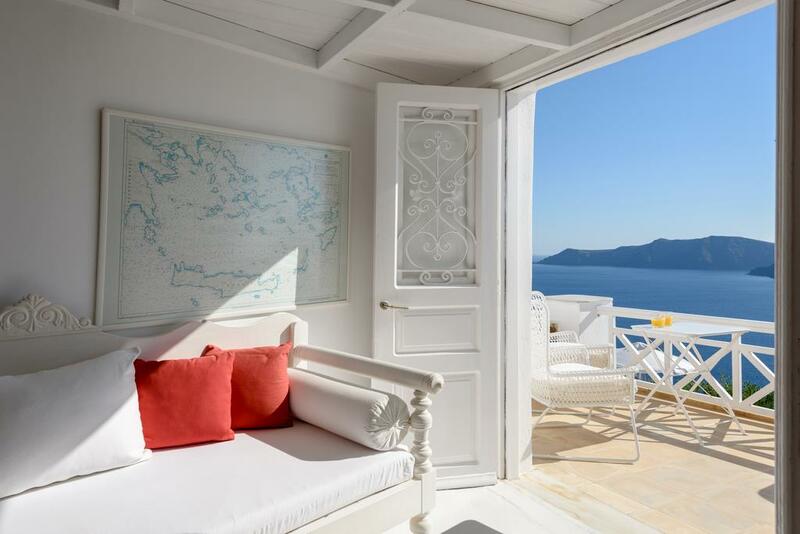 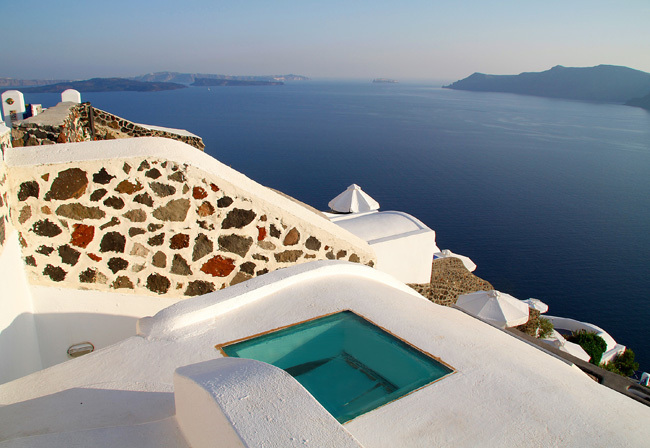 There is an infinity outdoors Jacuzzi plunge pool for 6 persons available on the courtyard of the villa with fabulous views to the sea, the caldera and the village of Oia. 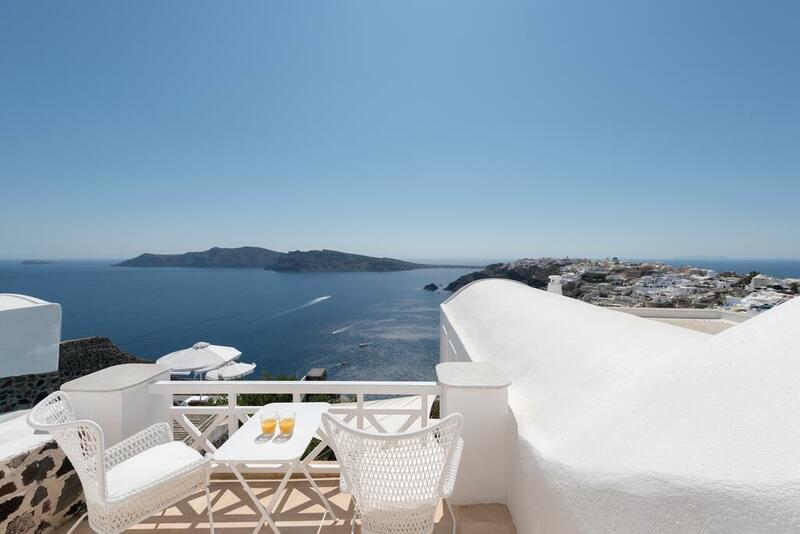 This lovely villa in Oia consists of three levels (main, upper and lower) united in one villa suitable for couples, a big family or group of friends. 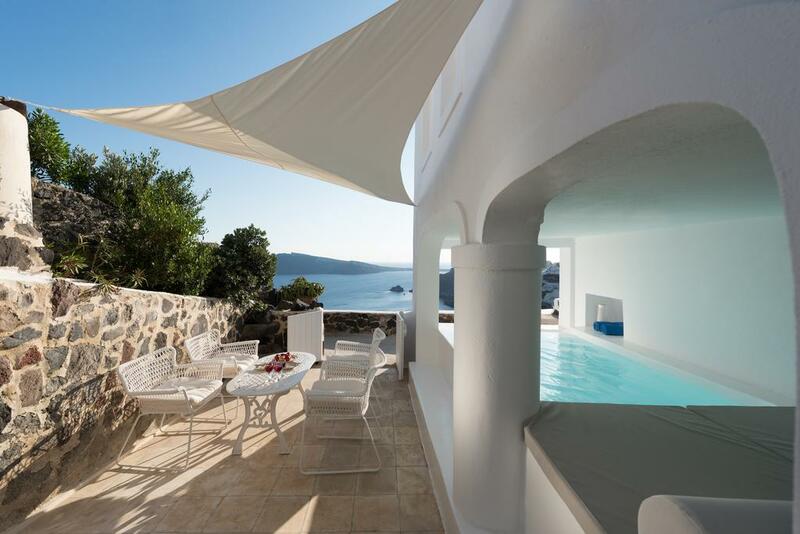 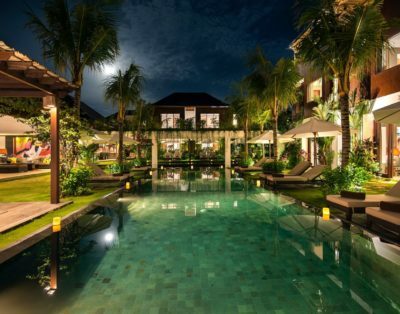 The villa has 180 sq. 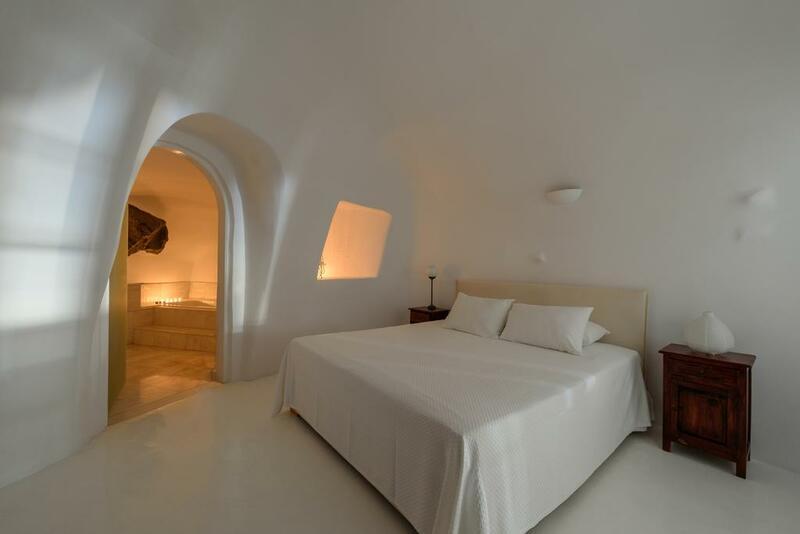 meters of surface and can accommodate the guests in comfort. 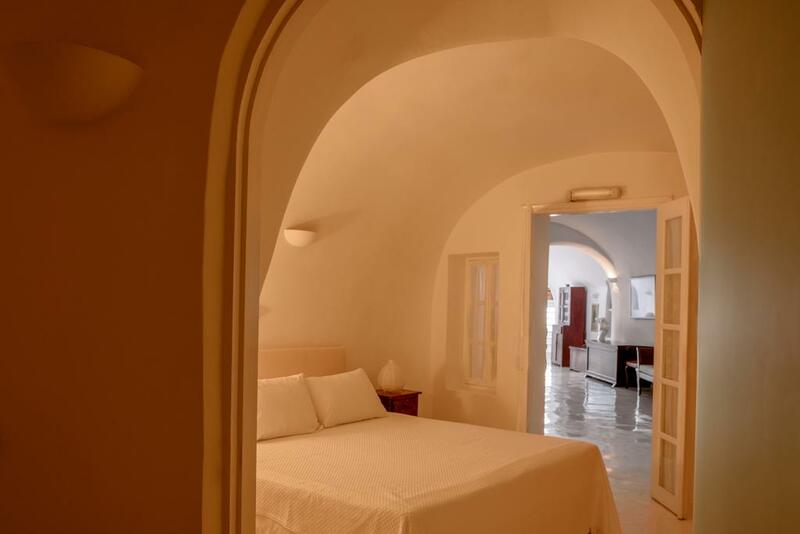 On the upper level there is a large traditional cave house furnished with antiques. 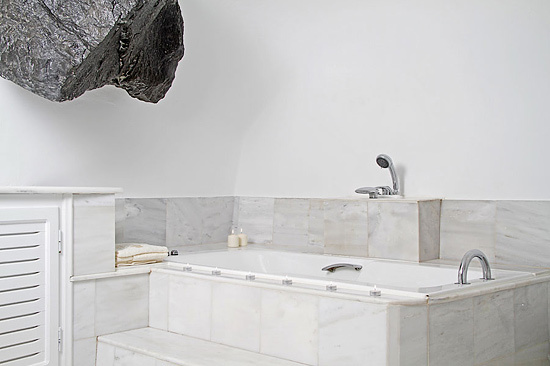 It consists of a luxury master bedroom with double bed , en suite vanity marble bathroom curved into the rock with Jacuzzi bathtub , a living room with built sofas and an antique wooden table, a separate dining area with an antique massive wooden table and sitting corner and a fully equipped kitchen with all modern appliances. 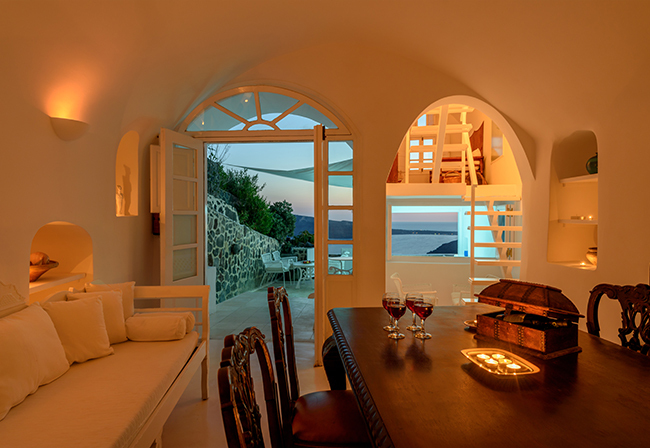 From the living area a few stairs take you up to an attic room with double sofa bed and window with fantastic sea views. 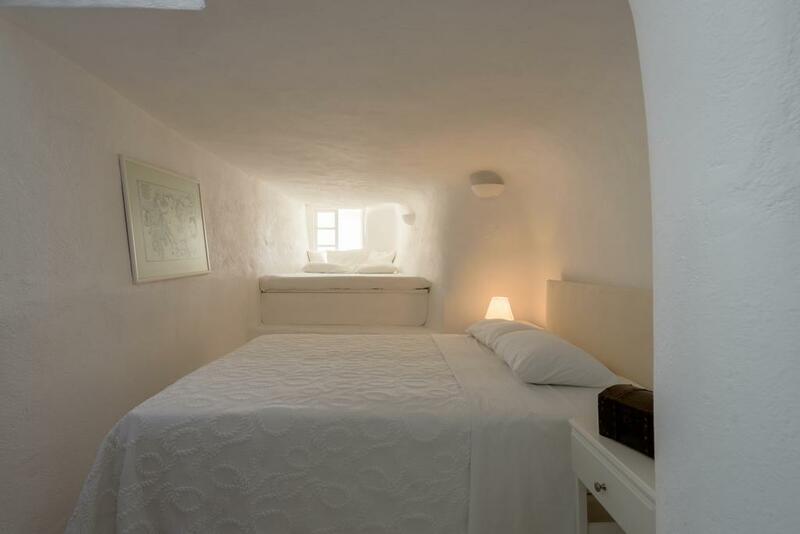 This lower level consists of a small living area, a kitchenette, a WC with shower and a bedroom with a Queen size bed that can separate in two singles if requested and double bed nested in the window of the cave. 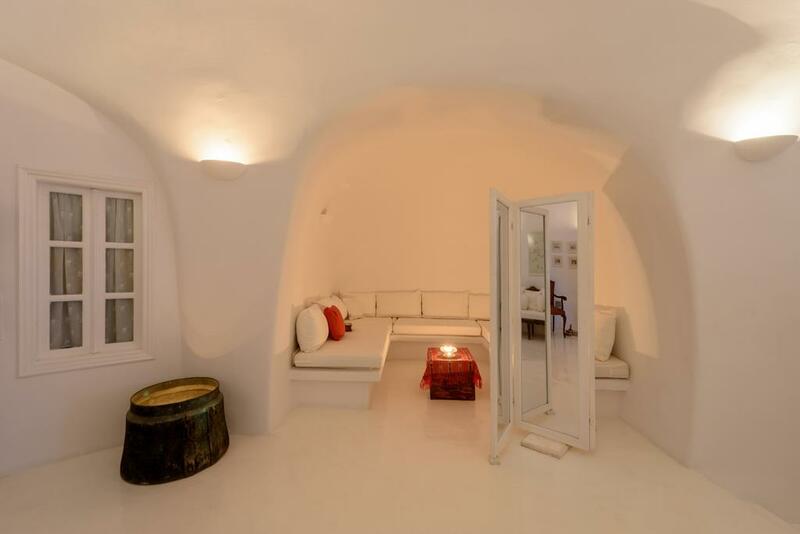 The cave atmosphere of this lower level gives a special and romantic atmosphere. 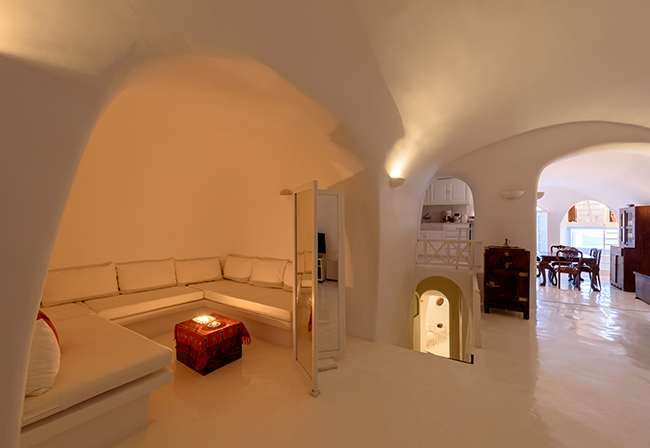 The White Loft” – is the upper floor apartment that is connected to the rest of the “White House” villa via interior stairs. 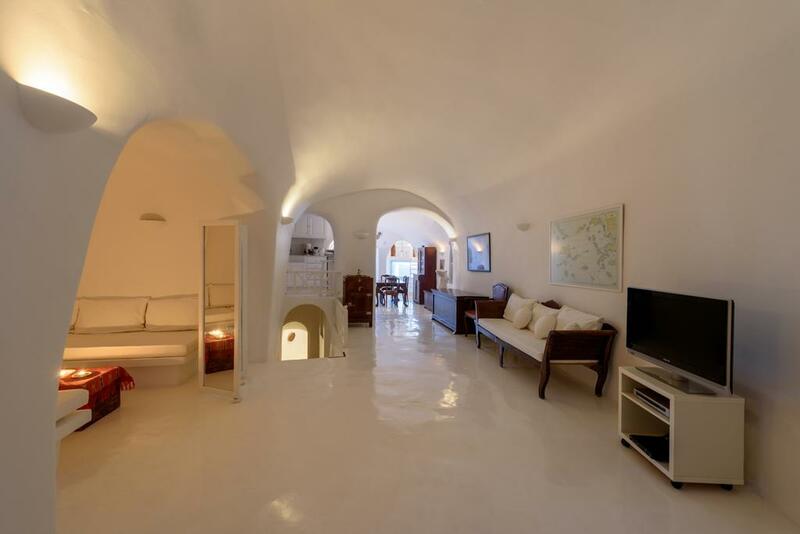 It can be accessed separately as well as it has separate entrance. 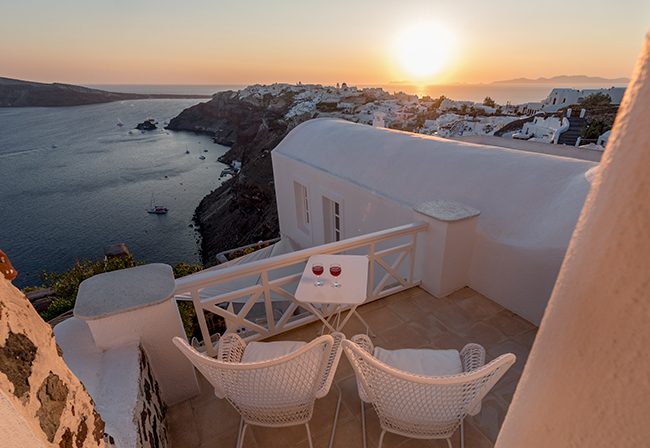 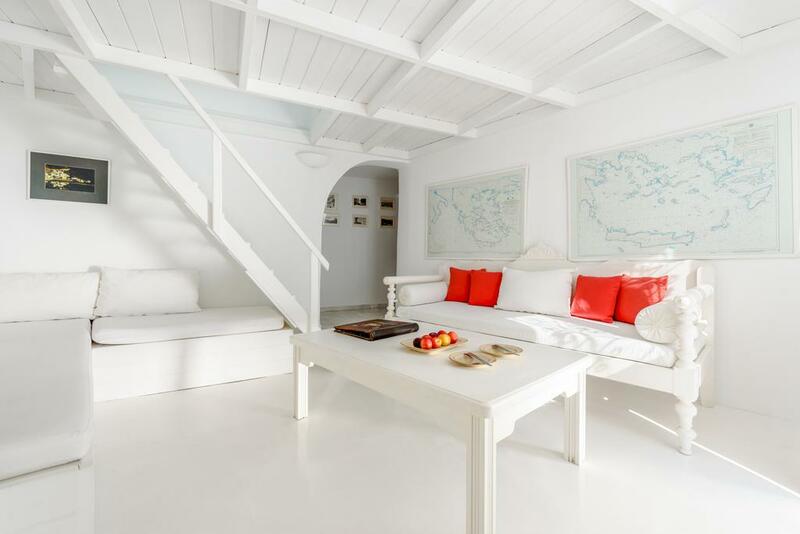 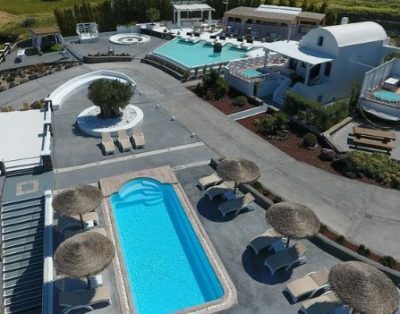 It consists of a living room, a kitchenette, a full bathroom with shower and a wooden loft bedroom which really gives the idea of flying over the wonderful village of Oia. 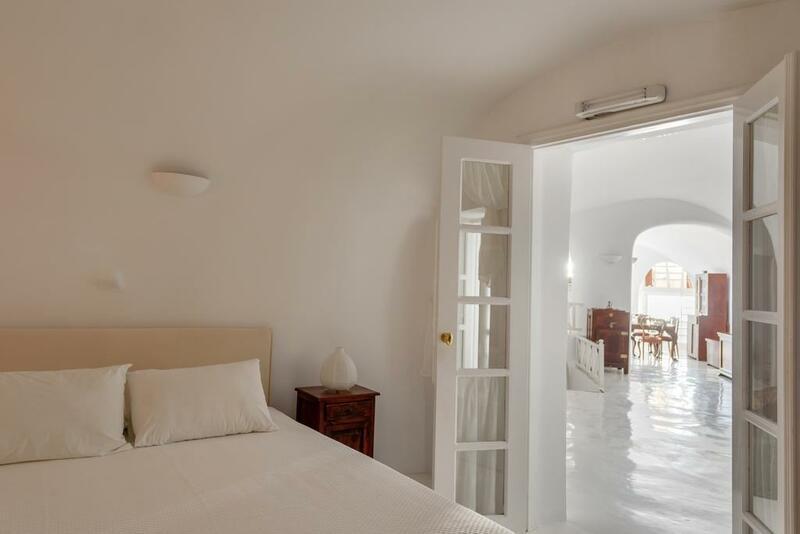 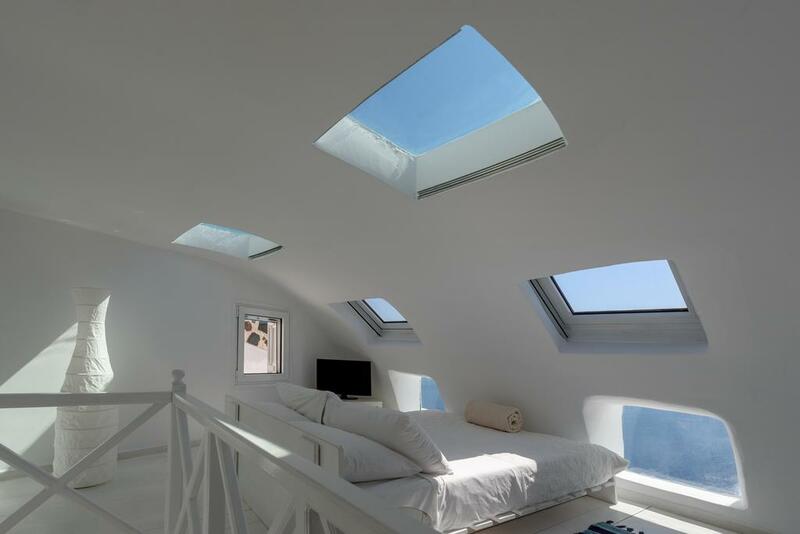 The loft has windows in the front and in the ceiling where you can see the stars and the moon from your bed using the ceiling windows or watch the sea and the village from the front windows. 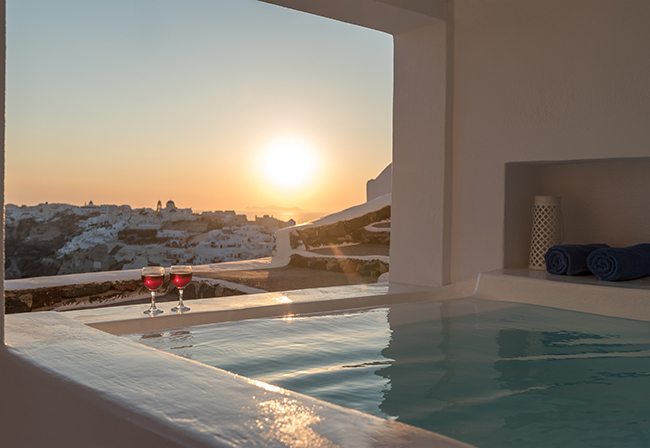 Situated on the highest altitude point of the village it can offer unforgettable views and unique memories. 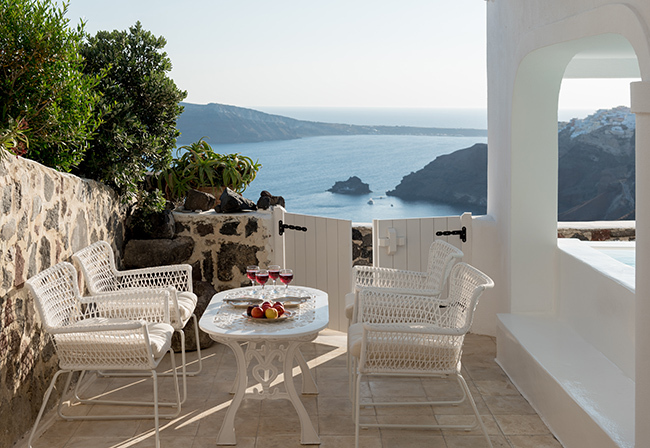 There is also a balcony with a table and chairs overlooking the volcano. 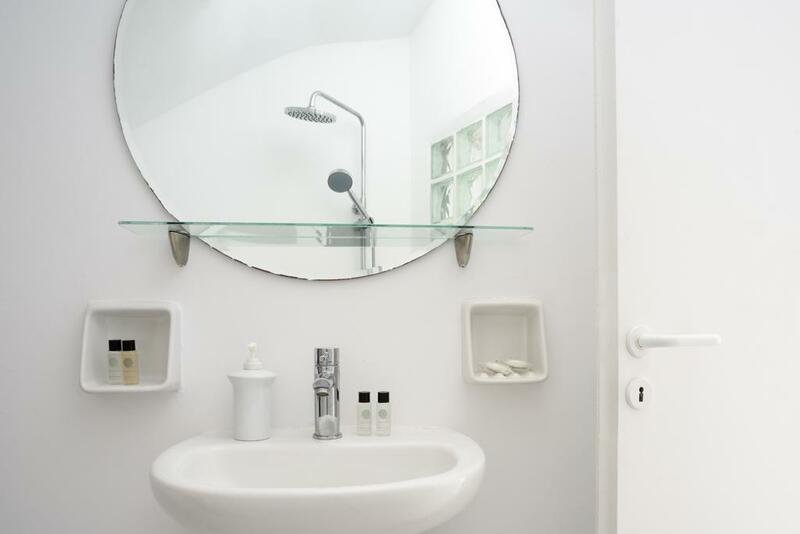 The facilities of the White Residence include A/C, satellite TV, DVD, Hi-Fi, hairdryer, telephone, Wi – Fi and safety boxes. 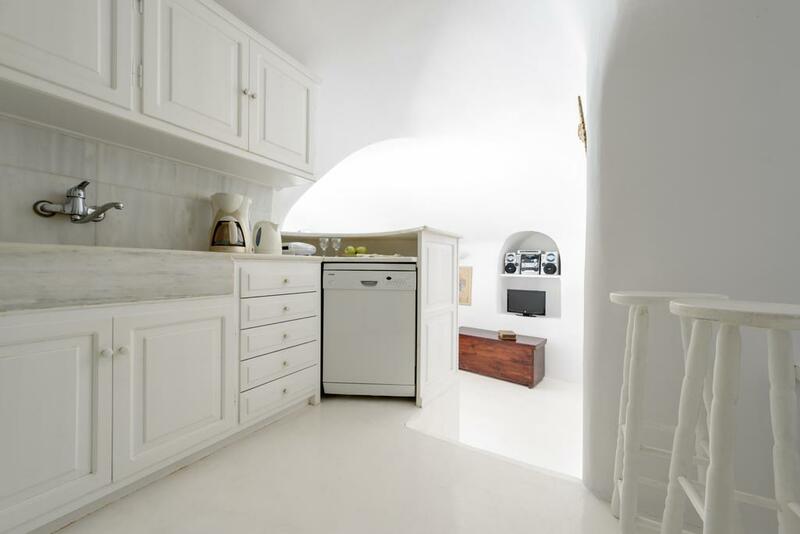 The kitchen is equipped with fridge, cooking stove, dishwasher, microwave oven, coffee maker and all kitchenware. 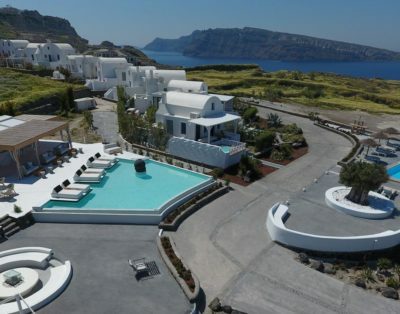 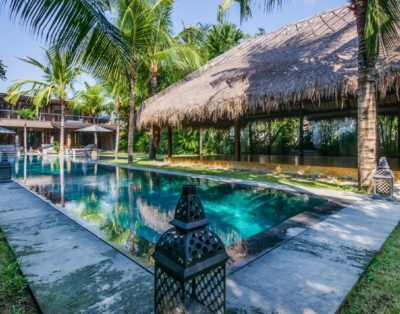 In the main courtyard there is an outdoors siting and dining area , an infinity jacuzzi plunge pool with amazing volcano views and a thick mattress for sunbathing. . All outdoors areas offer with amazing views of the sea, the sunset and the volcano. 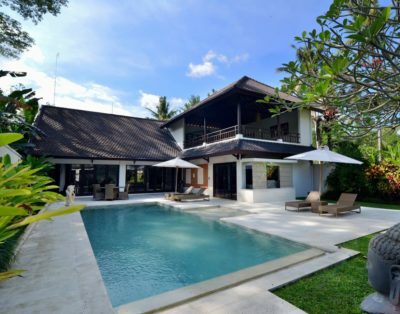 The services of the White House villa includes daily maid service except Sundays, (change of towels daily, change of sheets every 3rd day), meet and greet upon arrival and taxes.